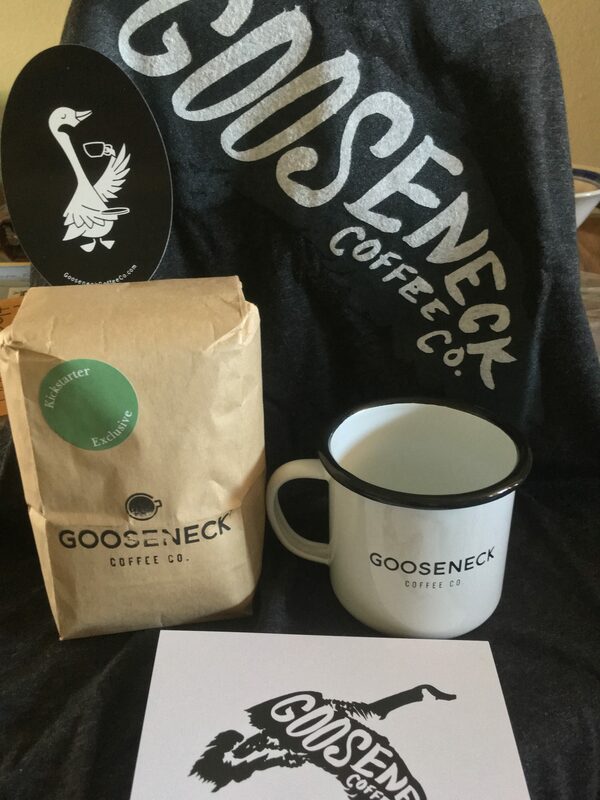 Gooseneck Coffee Company, Plymouth Michigan’s new roaster in town. Gooseneck Coffee Company has taken a large, but necessary step into the coffee roasting world, they got a bigger roaster to meet their demands. Last year I ran an article about them on how they needed help from the coffee drinking world to help fund their Kickstarter bid to buy a larger coffee roaster, so Bill and Noah could roast more coffee at one time instead of doing multiple roast for the same amount of roasted coffee. This was a wise choice on their part. I contributed to their Kickstarter as a backer, and this past week, I got goodies in the mail from them! And it was well worth it! I received some nice items: a wonderful t-shirt, a cup, thank you card, sticker, and of course Coffee! Which of course will be used for the sake of this article. 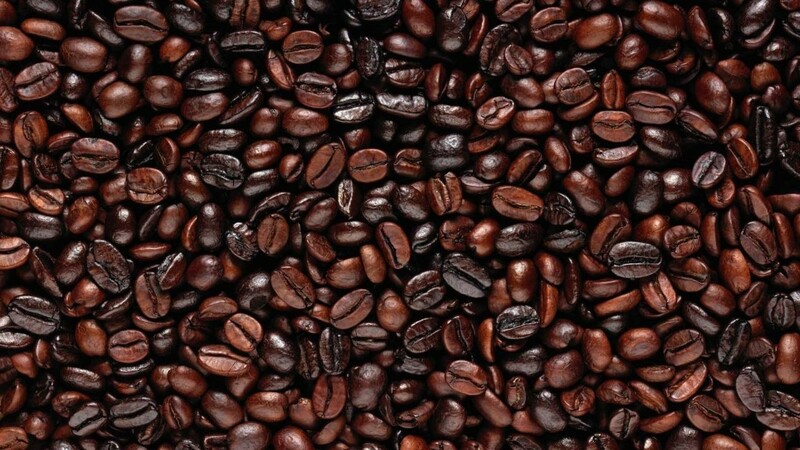 It is a wonderful roast making a wonderful cup of coffee. Here is what I found. I love the aroma! It has large notes of chocolate, with a subtle hint of lemon. I picked up the toffee aroma after I let the coffee cooled down. The toffee and lemon are the dominate flavors in this coffee, it is naturally sweet, with a tart finish that is also crisp and clean, not muddy. Adding milk or cream brought the chocolate and toffee to the forefront of the flavor, the lemon disappears completely, the finish is not as crisp, but is still clean, not a lingering aftertaste. Naturally sweet and tart, but very smooth, no sharp bitter finish, as with some other coffees. I feel like I am drinking a fruit tart. When you add milk it still has the same finish, but without the lemon note. The body has a nice mouthfeel to it, it does the Goldilocks thing, not too light, not to heavy, but just right. A very enjoyable cup. A wonderful cup of coffee, full of chocolate, and lemon aroma, and it settles down to a nice toffee note as it cools down in your cup. Adding milk or cream makes this coffee a treat because the toffee, and the chocolate blend very well, making this a dessert coffee for me. It is fresh, and full bodied, long in flavor without getting bitter, a clean and crisp finish, very enjoyable. 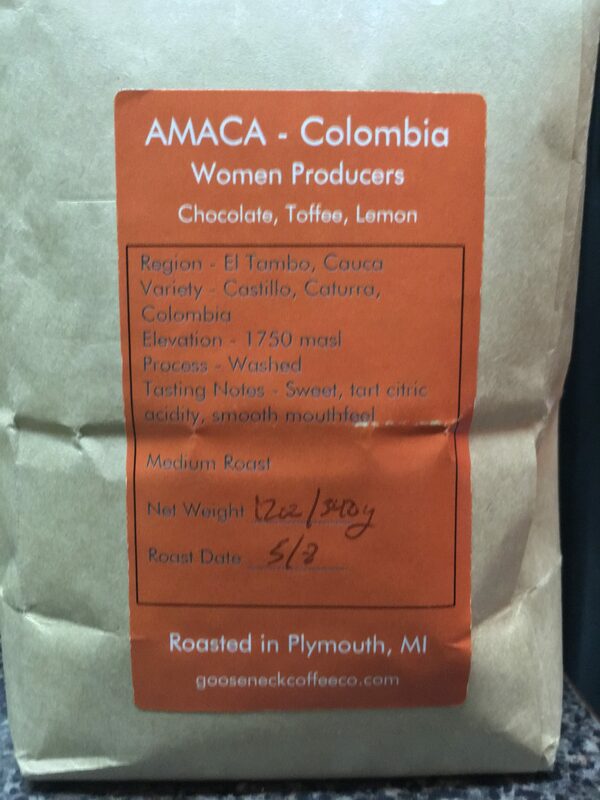 I confess, I am not a big fan of Colombian coffee, but what Gooseneck did, and the AMACA produced has won me over, I would buy this coffee without a second thought.